The substantial Windermere 4 ft. backless bench offers innumerable exterior or interior seating possibilities. Constructed of solid, grade A teak timbers and mortise and tenon joinery, the Windermere is built for generations of use. Enclose landscaped or limited access areas with a combination of backless benches and planters. This solid teak Windermere backless bench offers a contoured seat for comfort and low profile to fit in perfectly without interrupting the view. Can be placed under low windows, combined with planters for limiting access, or to frame landscape features. Windermere backless has the same scale as the Windsor and Windermere benches with the 20 in. deep seat. Thick timbers and quality design make this bench reliable, and high grade teak combined with mortise & tenon joinery make it exceptional. 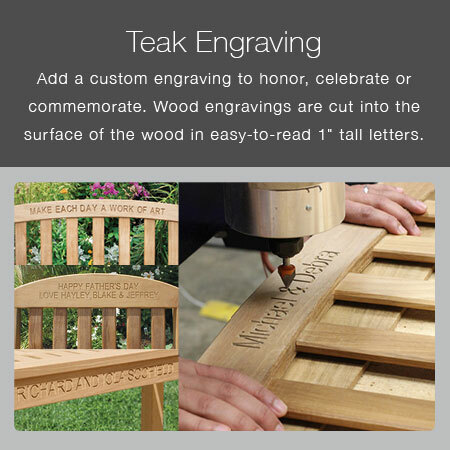 Teak can be left outdoors in all seasons and will naturally weather to a soft, silvery gray. It requires little to no maintenance to keep this look.